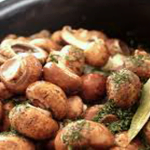 Make the most of our regular mushrooms with this delightful appetizing recipe. A very healthy dish starts with what you put in it. And this recipe is just one example of it. Though this may not be classified as vegan or vegetarian, but with mushrooms as the main ingredient, who could say no to a healthy dish like this? I have tried serving this several times in different occasion and they always seem to be a crowd favorite. So I usually, double or triple my recipe amount in order for me not to run out of this dish during parties. But guess what, they are still the first ones to be wiped out. Dissolve chicken and beef bouillon cubes in boiling water in a bowl; stir well. Add red wine, dill, Worcestershire sauce, and garlic powder; stir to combine. 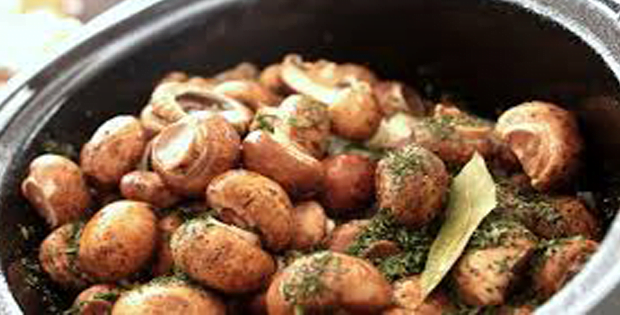 Arrange mushrooms in the bottom of a slow cooker. Pour broth mixture over mushrooms; top with butter. Cook on Low for 12 hours. I love cooking this as they are very easy and I can even cook it a day before since it needs 12 hours to cook. But at least, it just sits there cooking and I could get other dishes ready. I also love how the flavors blend so well and give out that appetizing aroma that fills the entire kitchen and even the entire house. A very big thank you to allrecipes.com for this amazing dish.